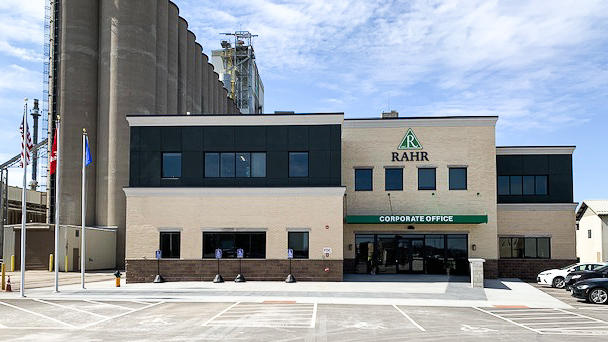 April 2019 – Shakopee, Minn. – Rahr Malting Corporation, a worldwide producer and distributer of malt and associated supplies located in Shakopee, MN recently completed an expansion and renovation of their corporate office space. Together with the designers at KOMA, the team created a space that not only functions well but is also reflective of the company’s deep-rooted values and history. Rahr is a family owned company that has been in business since 1847 and is now owned and run by the 5th and 6th generations. This generational bond is an integral part of the company and in many ways defines the culture of the business. Integrating this aspect was essential in the design of the office space and inspired much of the aesthetic and function of the facility. 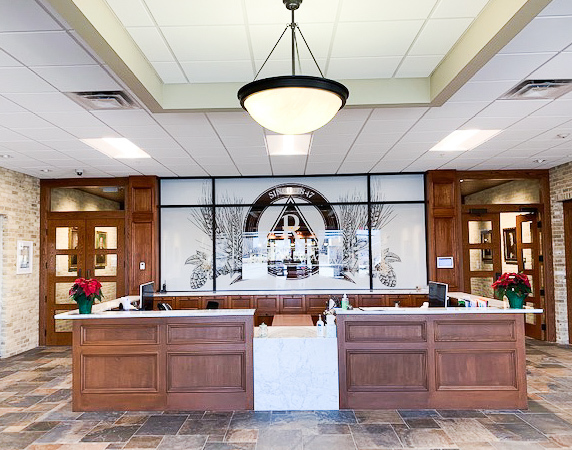 The project began with employee surveys to discover what aspects of the current space they wanted to retain and what preferences they had for the new space. This approach allowed for everyone within the company to have ownership in the project.